Chisa, K. & Hoskins, R. 2016. The use of ICTs by indigenous women in the Anglican Diocese of Natal: a curse or a tool of socio-economic empowerment? Innovation: a journal for appropriate librarianship and information work in Southern Africa (Accepted, forthcoming). Chisa, K. & Hoskins, R. 2016. A pathology of donor funded information and communication technology centres in indigenous communities: reflections on the Bhamshela telecentre. African journal of library, archives & information science 26(1): 59-71. Chisa, K. & Hoskins, R. 2016. Managing church records relating to indigenous communities at the Anglican Diocese of Natal in KwaZulu-Natal, South Africa. Mousaion (Accepted, forthcoming). Chisa, K. & Hoskins. 2016. African customary law and the protection of indigenous cultural heritage: challenges and issues in the digitization of indigenous knowledge in South Africa. (Accepted forthcoming). Chisa, K. & Ngulube, P. 2015. South African indigenous music goes digital: managing issues at the interface of the law and cultural sensitivities. Information Development. (Submitted for review). Chisa, K. & Hoskins, R. 2015. Decolonizing indigenous intellectual and cultural rights in heritage institutions: a survey of policy and protocol in South Africa. Mousaion 33(3): 55-72. Chisa, K. & Hoskins, R. 2014. Using church records at the Archives of the Anglican Diocese of Natal to trace indigenous ancestry: exploring the ethical barriers. ESARBICA journal33: 45-58. Chisa, K. & Hoskins, R. 2014. The effects of information and communication technologies on indigenous communities in South Africa: a library and information science perspective. Mousaion: South African journal of information studies 31(3): 49-68. Chisa, K. & Hoskins, R. 2014. Application of the Delphi technique to make sense of indigenous cultural and intellectual property rights in a virtual society. Innovation: a journal for appropriate librarianship and information work in Southern Africa 48(June): 65-82. Chisa, K. & Hoskins, R. 2013. Public access to information and communication technologies in indigenous communities: a comparative study. Innovation: a journal for appropriate librarianship and information work in Southern Africa 46 (June): 228-248. Chisa, K. & Ngcobo, N. 2013. The Diocese of Natal 160th anniversary: 1853 – 2013. Pietermaritzburg: RightHAND Designs. Chisa, K. &Hoskins, R. 2015. Customary law and the protection of indigenous cultural heritage: can policy learn from practice. Paper presented at the Indigenous Knowledge Systems International Conference. Fifth Annual Conference of the Faculty of Communication and Information Science, National University of Science and Technology, held at Cresta Churchill Hotel, Bulawayo, Zimbabwe, 24-28 August. Chisa, K. & Hoskins, R. 2014. Digitization of indigenous knowledge in cultural heritage institutions in South Africa: examining the policy and cultural interface. Paper presented at the 21st SCECSAL Conference, held at Lilongwe Hotel, Lilongwe, Malawi, 28 July – 01 August. Chisa, K. & Hoskins, R. 2013. Using church records at the archives of the Anglican Diocese of Natal to trace indigenous ancestry: exploring the ethical barriers. Paper presented at the Indigenous Knowledge Systems International Conference on “Information, Records and Archives in a Knowledge Society”: Third International Conference of the Faculty of Communication and Information Science, National University of Science and Technology, Victoria Falls, 6 – 8 August. Chisa, K. & Ngulube, P. 2011. Digitization of indigenous music in Africa: managing the legal and sensitivity issues. 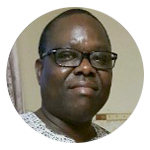 Paper presented at the 1st Indigenous Knowledge Systems conference, Bulawayo, Zimbabwe, 23 – 24 August. Chisa, K. & Ngulube, P. 2009. The impact of digital technology and international regulations in the dissemination of indigenous knowledge in Africa. Paper presented at the 40th International Association of Sound and Audiovisual Archives (IASA) Annual Conference, Athens, Greece, 20-25 September. Chisa, K. & Ngulube, P. 2009. Indigenous knowledge and intellectual property rights in a networked environment: the case of the South Africa Music Archive Project. Paper presented at the 5th biennial DISSAnet conference, Pretoria, South Africa, 6 March. Chisa, K. & Leach, A. 2006. A comparative study of the role of donors in three telecentre projects in Africa. Paper presented at the Library and Information Association of South Africa (LIASA) 9th annual conference, Pretoria, South Africa, 25 – 29 September. 2014 – Most outstanding Post-doctoral Research Fellow in the School of Social Sciences, University of KwaZulu-Natal. Shange, F. 2014. Library services to children in the eThekwini Public Library System: perspectives of the public librarians. MIS thesis. Pietermaritzburg: University of KwaZulu Natal. (Co-supervisor: Athol Leach). Moloi, X. 2014. Librarians in the 21st century: information and communication technology skills and knowledge of academic librarians in the University of KwaZulu Natal libraries. MIS thesis. Pietermaritzburg: University of KwaZulu Natal. (Co-supervisor: Athol Leach). I have served and reviewed numerous Masters and PhD proposals for the Development Cluster Higher Degrees Committee, School of Social Sciences, University of KwaZulu-Natal.